Tapulous has been acquired by Disney. The iPhone gaming startup with several hits on its hands was founded by Bart Decrem, who will join Disney as a senior VP. COO Andrew Lacy is also joining Disney as a senior VP. Disney is very interested in social and mobile gaming, having recently invested in Playdom’s $33 million round. 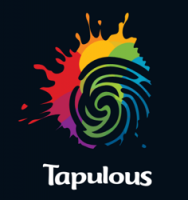 Tapulous is a hot iPhone gaming startup which has raised only $1.8 million from angel investors including Marc Benioff, Jeff Clavier, and Andy Bechtolsheim. Legendary Silicon Valley mentor and Stanford professor Rajeev Motwani, who passed away last year, was also an investor. Its flagship game, Tap Tap Revenge, has numerous versions which have been downloaded millions of times. The basic game, which lets players tap to the rhythm of songs with their fingers is free, but players must pay for new songs. Its latest game is Tap Tap Radiation for the iPad. Tapulous’ music-oriented games appeal to a younger crowd in particular. The company puts out versions of Tap Tap Revenge featuring the songs of specific artists such as Justin Bieber Revenge, Lady Gaga Revenge, Nickelback Revenge, and Nine Inch Nails Revenge. Its other mobile music, Riddim Ribbon is also a hit. Disney Interactive Studios sells a slew of video games built around Disney movies and characters such as Toy Story, Cars, and Hannah Montana. Most of these games are for consoles like the Xbox, PS3, or GameBoy. Buying Tapulous gets it into the iPhone/iPod Touch/iPad gaming platform and gives it a strong presence in music-related games. Update: And here is the Tapulous blog post by Decrem confirming the deal. Today, we announced that we are joining Disney. We will be a key part of Disney Interactive Media Group, spearheading their drive to be the leader in mobile entertainment. As part of Disney Interactive Media Group, we’ll develop more games, more quickly and with the resources of the world’s leading entertainment company. We will continue to develop apps that live at the intersection of music and gaming, but we’ll also push into new and exciting areas of mobile social entertainment. He also notes that Tap Tap Revenge has been downloaded more than 35 million times and played 1 billion songs. The price was not disclosed. Update 2: I spoke with Decrem on the phone. He will be the GM and senior VP in charge of mobile for Disney Interactive’s gaming group, but will remain in Palo Alto. Decrem’s charter is to add social elements to all of Disney’s games over time. For now, he is focussing on keeping Tapulous humming, but he will influence mobile games across Disney Interactive’s portfolio. It also sounds like he is ready to hire in Palo Alto “We really want to build a big footprint here in the Valley,” he adds, noting that there is a lot of empty office space in the old Facebook headquarters.